Which Battery is Best for Me? Lithium batteries are found in many electronic devices, such as cell phones and laptops. When compared to NiMh (Nickel Metal hydride) or NiCd (Nickel Cadmium) batteries, lithium batteries have a greater storage capacity, while at the same time, maintaining the same size and weight. However, over the past couple of years, lithium batteries have migrated into the hobby market, and are now used extensively in electric helicopters, boats, cars, and airplanes. Due to their light weight and high battery capacity, they are ideal for RC helicopters and airplanes, as they provide a longer flight time than their outdated NiMh and NiCd counterparts. Lithium batteries go by many names such as LiPo, Li-Po, Li-Poly or even LiPoly. Regardless of the name used, though, they can come in a variety of configurations. Lithium batteries usually come in a pack configuration, which states the number of cells in the series, followed by the number of series wired in parallel. For example, an 1100mAH 3s2p would have three cells in a series, with 2 series wired in parallel for a total of (2 x 3) 6 battery cells, with a total capacity of 1100mAh and a voltage rating of 11.1v (3.7V x 3= 11.1V). Each cell usually has a nominal voltage rating of 3.7V, but can go as high as 4.2V when fully charged. Moreover, battery packs are usually comprised of 2 or more cells wired in a series for an increase in voltage, or in parallel for an increase in capacity. A C-rating indicates how quickly a battery can be discharged. A rating of 1C discharges in one hour, while a battery pack rated at 10C would discharge at ten times that rate. This means that a 10C battery would discharge in 1/10th of an hour or in six minutes. If you know how much continuous current you want to draw and how much capacity you want to use, it is relatively easy to determine the appropriate C-rating required. If you were drawing 4A from a 2000mAh pack, just divide the current by the capacity (4A=4000mA, 4000mA/2000mAh=2C). However, using a higher C-rating than required can also be quite beneficial. It allows for some slack, which can result in longer battery life. When choosing the proper battery for you RC, you must take a look at voltage. If your electric motor works with an 11.1V battery back, then you will need a 3 cell battery (3.7V x 3= 11.1V). Secondly, you should take a look at the available capacities. The higher the battery capacity, the longer flight or run time it will provide. Be careful not to weigh down your vehicle too much, though, as larger capacity batteries are also heavier. Lithium batteries are expensive, but when cared for properly, they will provide long lasting performance. It is for this reason that it is especially important to learn how to properly charge and care for your lithium battery packs. The first step in charging your battery pack is to plug in the charger. We recommend you plug the charger in first, as most charging cables usually have exposed connectors which may be short circuited against any metal object. Now connect the battery to the charger. Please Note: If you have just finished using your Li-Po battery, make sure it is not hot. If it is, you will need to wait for it to cool down before attempting to charge it. Once the charging process has started, the charger will take care of everything. After 3-5 hours (depending on your battery and charger), you can unplug the battery and use it again. In order to prevent accidents while charging, be sure to place the battery in a location free of flammable materials. In addition, you may also use a battery balancer, as detailed below. Safety Precautions: Do not attempt to charge a lithium battery if it is “puffed up” or damaged. Only use chargers designed to work with Li-Po batteries. 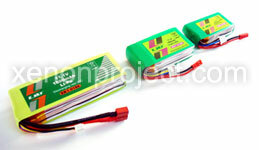 Lithium polymer batteries have had a tremendous impact on the RC hobby world, making it just that much more exciting. The performance boost they offer is almost revolutionary. If treated improperly, though, they can be susceptible to damage. One important device that protects your Li-Po battery against this damage is a balancer. 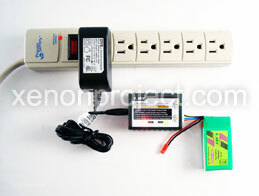 Out of these various culprits, the most difficult to control is the voltage. Since the batteries are wired together in a series, they will naturally, over time, become unbalanced. This means that the various cells in the series will have slightly different voltages and can lead to individual cells being charged at a higher voltage than the cell can handle. A typical battery charger can only read the average voltage of the entire series, not the individual voltages of each cell. A Li-Po balancer works by using cell taps, which are individual wires soldered onto each battery. By using these taps rather than the battery connector, the balancer can access every cell, allowing the balancer to adjust the individual cell voltages while re-routing the power to the cells as necessary. Prevention of early battery failure by regulating battery voltage. Connect the balancer to the battery before charging. Plug in the charging unit into the wall and connect the charger to the balancer. Although a balancer can be used with every charge, it may not be necessary if the battery is in good condition or has been properly cared for. The extra effort it takes, though, can be well worth it if you’re a serious hobbyist and like to run your RC’s in peak condition. If you plan on storing your Lithium Polymer (Li-Po) batteries for a month or longer, take the time to prepare them so the next time you use them they are ready to go. 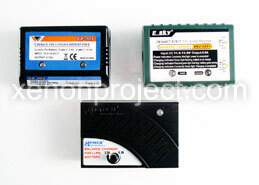 Li-Po batteries should not be left in a fully discharged or fully charged state for an extended period of time. Otherwise, you may notice a significant loss in capacity. To insure they don't, we suggest you follow these simple steps. Step 1. Charge your Li-Po battery pack for storage. Each cell’s voltage should measure roughly 3.8 – 3.9V. If your battery charger does not allow you to set a charging voltage, simply fully charge the battery, and discharge it to 40-60% of its maximum capacity. Step 2. If you have a Voltammeter, you can check the voltage of the battery pack once a month. Step 3. If the battery’s voltage is beneath 3.8V, recharge your batteries with a balancer until the 3.8V requirement is reached. Step 4. Make sure to properly store your Li-Po battery pack in a cool, dry place (40-70°F / 4-21°C). When you decide to use your Li-Po battery pack again, just be sure fully charge them and go. By following these four simple steps outlined above, you will not only protect, but extend the life of your Li-Po batteries. Lithium Polymer batteries are unlike their NiCd predecessors, as Li-Po batteries are environmentally friendly. For various safety reasons, we recommend that Li-Po battery packs be fully discharged prior to disposal, unless they are physically damaged, then we do not recommend Li-Po batteries be fully discharged (see below for more information). Lastly, Li-Po battery packs must be cooled before following the disposal instructions outlined below. Step 1. If a Li-Po battery pack has physical damage (appears swollen, split, or has a tear over the cell's covering), do not discharge the battery and immediately skip to Step 5. Step 2. Place the Li-Po battery pack in a bucket of sand (or other fireproof container). Step 3. Discharge the Li-Po battery pack. This can be done with a Li-Po discharger by setting the cutoff voltage to its lowest value. Set the discharge to 1/10 the capacity rating of the battery pack. For example, a 2500mAH will have a C-10 rating of 2.5A. For Li-Po packs rated at 7.4V and 11.1V, you can connect the battery to an ESC/motor system which allows the motor to run indefinitely at a low rate until the battery is completely drained of power. Make sure to continue discharging the battery until it reaches a voltage of 1.0V / cell. To be safe, you can discharge the battery for up to 24 hours. Step 4. Submerge the battery pack in a plastic tub or bucket of water with a lid. Prepare a plastic container with cold water and mix in a ½ cup of salt per gallon of water. Drop the battery into the saltwater and leave it there for at least 2 weeks. Step 5. Remove the Li-Po battery from the salt water. Wrap the battery pack in paper towels or a newspaper and place it in the trash. They are landfill safe. We hope you found this information useful and enjoyed our easy to use tutorial guide. For more tutorials, how-to guides, FAQs, and much more, please visit our Learning Center at XenonProject.com. Copyright © The Xenon Project, LLC. Any duplication, copying, or use without prior written consent is illegal.